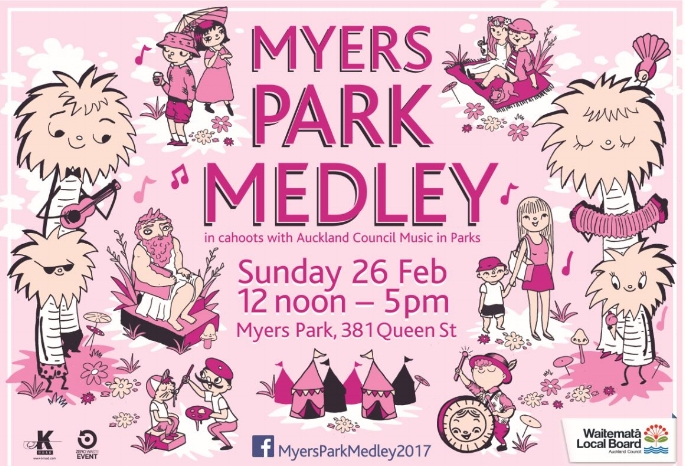 A free, family-friendly event bringing entertainment, art, fun and music to this much loved inner-city park. This brand new annual event is all about community coming together to celebrate what makes Myers Park unique and the culture that surrounds it so much fun. Twice as Nice Markets at Myers Park Medley, NZSL storytelling, Audio Described tour, face painting, food trucks, splice bbq, games, bubbles, Fairy Clare Battersby, Bird Booth & more. The Medley is proud to be included in this years Auckland Fringe festival.